Inhabitants of Dunedin Florida relish wonderful views of Caladesi Island, St. Joseph Sound and Clearwater Beach. Also, Dunedin is one of those few towns in Florida where the sight of the Intercoastal waterway is not completely hindered by buildings. That is why; investing here on property is definitely a smart idea. 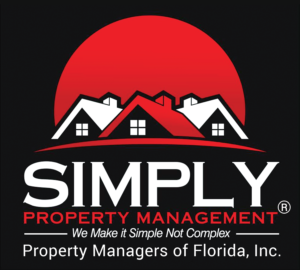 Planning to invest on a Dunedin property may look like a daunting task, but when you choose Simply Property Management as your property management company in Dunedin, FL, you can simply sit and enjoy the return from your property. We take care of each aspect of your home & its renters. By partnering with our property managers, you are actually working with a team which knows the Dunedin housing market better than anybody else and is capable of making your property standout for potential tenants. You have already taken a smart step by deciding to invest in real-estate, now allow us take care of your property, so that you can enjoy things that you love doing. Benefits of owning a property are plenty and our complete Dunedin property management solutions make sure you enjoy all these benefits without any burden. Applicant screening – Each prospective renter should qualify the credit, background and reference checks prior to being permitted to rent your property. This process ensures you enjoy qualified tenants. Maintenance – No more emergency repair or mid-night phone calls to concern about. We work with certified vendors to make sure appropriate repair or maintenance are done at a minimal cost. Eviction – Though we do not want you to worry about an eviction they do happen from time to time. We will make sure the process runs smoothly. Handling your own investment property can simply be a full-time job, and one which a landlord should not have to do. Property management in Dunedin FL is not an easy task but we make it easy with our years of experience in the industry. Call us now!